Contracts are agreements. A contract requires a complete meeting of the minds between the parties. Contracts do not have to be written. 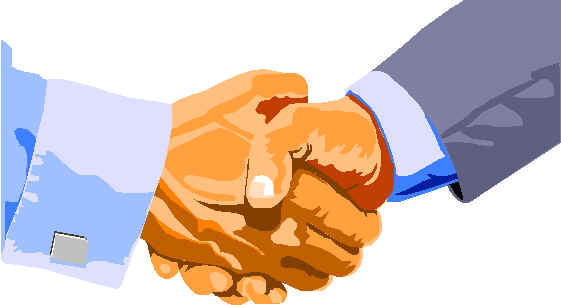 Many contracts are made verbally, on a "handshake." Oral contracts may not be enforceable, however, so a written contract is always preferred. If there is no express written contract, then the conduct of the parties may be sufficient to demonstrate an "implied" contract. Although many contracts are created without any particular formality, in important matters it is always best to consult an attorney. A complex transaction, or a transaction involving substantial funds, should always be documented in writing, so that there are no misunderstandings about the obligations each party has undertaken. Although a pre-printed form will serve the needs of the parties adequately in many cases, if the person who fills in the form is unfamiliar with the kind of transaction involved, there is a substantial risk of problems later on. Consulting a knowledgeable attorney ahead of time is well worth the time, effort, and cost.